When I first saw the Galahad suits, I thought they would be a lot of fun. They didn’t let me down and actually surprised me a little bit with the amount of detail of the armour and bolts and wires and all of the amazing heads. 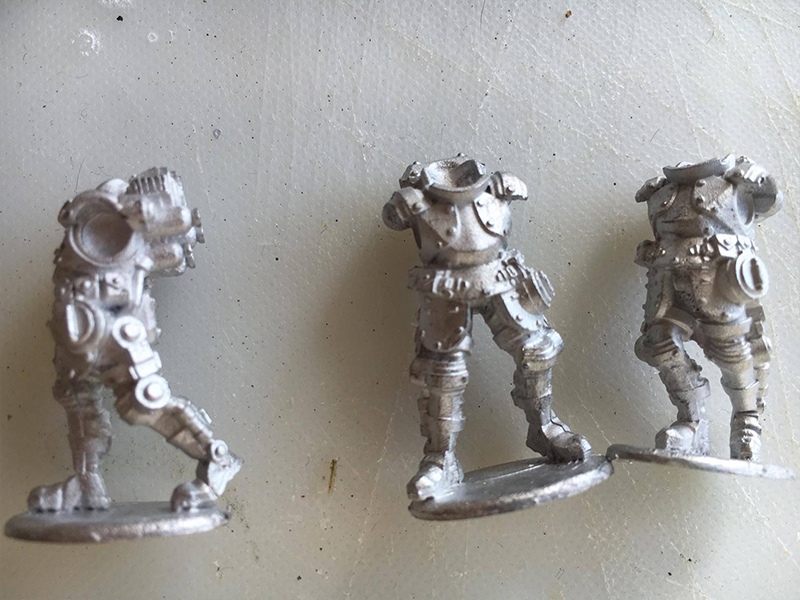 They also surprised me when I found out the arms were incredibly fiddly because of the ball joints and they were quite a pain. 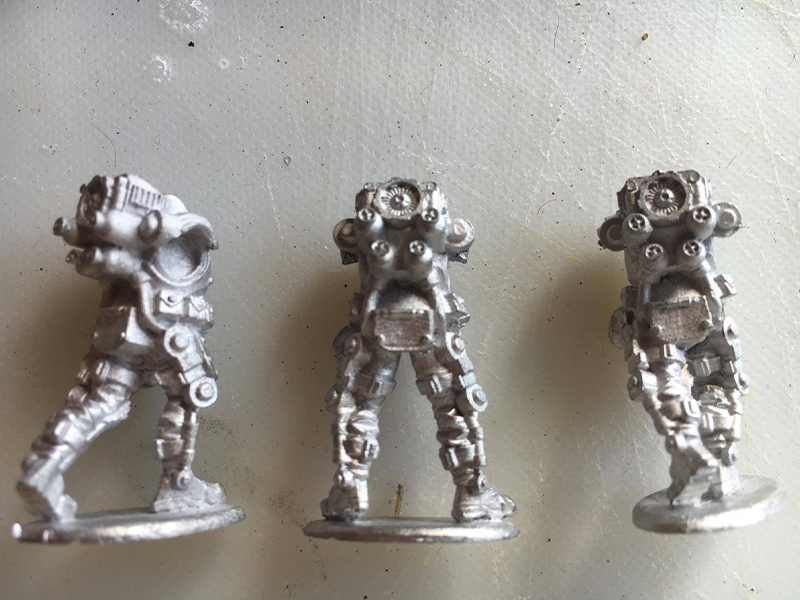 They came in four parts: the body, the head, the machine gun arm and the powered arm. 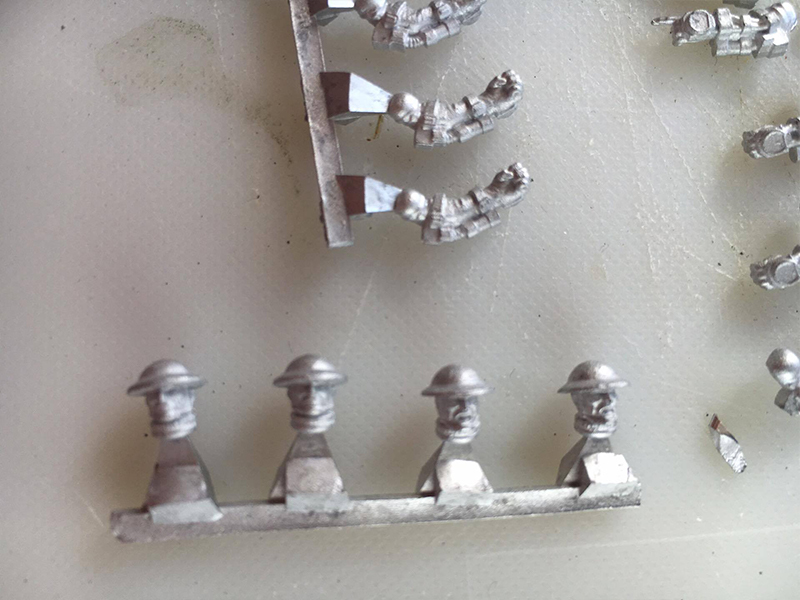 There were two sprues of non machine gun arms and one sprue of machine gun arms. The bodies came separately. 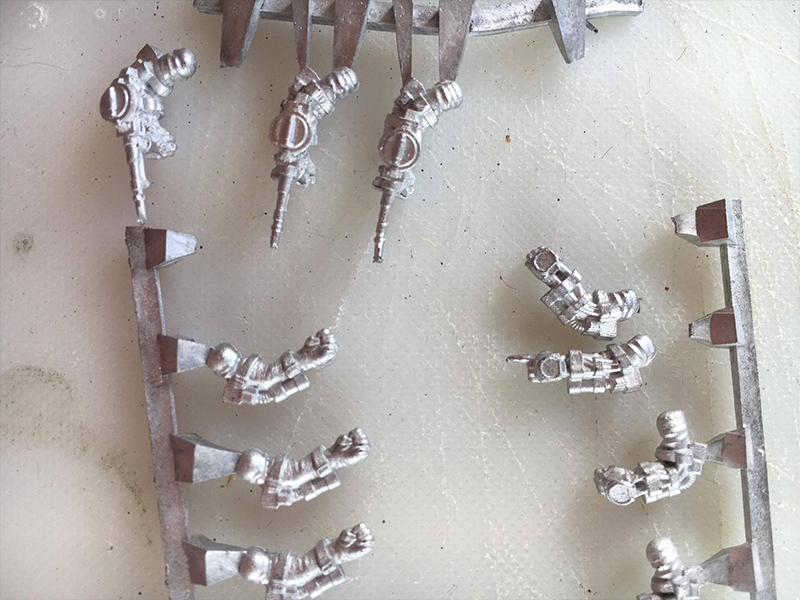 One non machine gun arm sprue includes a straight arm with pointy hand on the end. All in all, I think that guardian suits are one of the best heavy infantry units because they aren’t all bulky like the others and are quite highly detailed too! P.S I am sorry I have not being doing very many blogs.